Lately, radio, newspaper, and television commercials have been talking about the great improvements in the housing market since the beginning of the Great Recession. Although there have been improvements in the housing market, the sad fact is that homes for sale have suffered considerably as a whole. In fact, its pretty safe to say that the housing market is probably in the worst shape ever, according to RealtyPartner. Disturbing trends include the fact that more couples that used to care about their credit score who are now strategically defaulting on their home loans due because the cost of the house actually outweighs the benefits of an intact credit score. The sheer amount of foreclosed homes makes keeping home prices stable and high nearly impossible. Also, banks remain reluctant to lend money to first-time homeowners, which is understandable. However, this drives down sales considerably. Moreover, people who are looking into buying houses have become doubly cautious, and are looking to buy either foreclosed homes, or are looking for places with cheap rent. 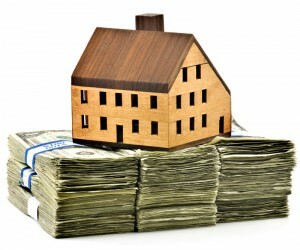 Why risk losing even more money on the real estate market? New housing sales hit a record low in 2011, and are expected to plummet even more. Investors have began withdrawing their money in some of the places that were built specifically in order to attract wealthy residents. In certain parts of the country, including Florida and Arizona, entire home complexes remain abandoned because the asking prices are too high to move. Half built developments wait for their investors to return and finish funding their construction. “Although the official inventory of houses for sale appears slightly above average, the ‘shadow inventory’ of distressed homes that are lost to defaults, and are in the process of foreclosure. Those who are over 50% or more underwater on their mortgages have dramatically increased worse than we’ve seen before,” stated Mark Quinones, CEO & Founder of RealtyPartner. This means that no one truly knows how bad the housing market has gotten, nor do they know what to expect. Anyone who wants to invest will often be intimidated by the sheer turmoil of the housing market. The worry and speculation that surrounds the housing market is only adding fuel to an already extremely chaotic fire. The worst might still be yet to come, and no one knows when the housing market will improve. How long will it take the housing market to stabilize? That depends on several factors, including the employment rates, active investment in the housing market, and also the number of foreclosures that are sold.